We have talked about a German Shepherd’s dominant behavior several times and by now we know that GSDs are born to be the leaders. In the wild, they live in a pack, and there is always one pack leader that dominates others. Similarly, when a GS comes into a family of humans, it sees them as a single pack and its instincts tell it to take the position of the alpha. However, your dog will need your approval to do so. If you will get under your dog and let it do what it wants, you are actually encouraging it to dominate. Dominating GSDs become a huge problem for many owners that completely lose control over them. They begin to charge at family members, bark aggressively, or bite in some cases. The only way to keep your GSD in control is to train it to follow your rules and commands. Why do GSD’s Exhibit Dominant Behavior? If the dog is not trained to behave well around kids, pets, and strangers. If the dog always gets what it wants. 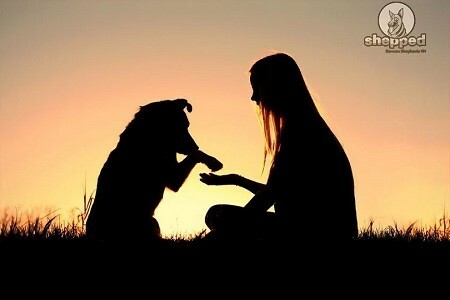 If you obey the dog more than it obeys you. If you leave the home after your dog. If you open the door for your dog. If you hug your dog as soon as you enter home. If you spoil your dog and fulfill its desires. If you encourage your dog’s aggression instead of ignoring it. If you let your dog sleep on your bed. If you let your dog sit on the furniture. If you let your dog jump on people. If you pay attention to your dog when it is barking, growling, biting, chewing, etc. If you let your dog have food before you have yours. If your GS is dominant, you will notice it is behaving differently. Below are the common signs a GSD exhibits that point out dominant behavior in this dog breed. Jumping on family members, guests, and strangers. Not taking the leash too well. Refusing to walk on the leash. Pushing or forcing you to play. Putting its paws at you. Always getting out the door first. Barking and whining when you don’t offer food. Growls when someone touches its food. Growls when someone comes close to it. Sleeping with you on the bed. Growls when you try to get it off the bed. Showing aggression when left alone. Destructing things when not entertained. If your dog is charging at you. 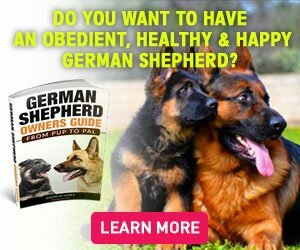 How to Handle a Dominant German Shepherd? Dominant German Shepherds need to be handled with extra care and attention. You will need to adopt the best training practices to make your dog learn some manners. For the most part, the dog is exhibiting a dominant behavior because you mishandled it. If your GS is being dominant and showing signs of aggression, make sure you tell your dog that you are the boss and there is no way that you are going to get scared. Do not get aggressive when your dog shows signs of dominance, as it is the worst way of handling the situation. Start training your dog when it is just a few weeks old. Leash train your dog and make it walk by your side instead of pulling on the leash. Use the verbal command like ‘Stop’, ‘No’, ‘Stay’, etc. to tell your dog that this behavior is not appropriate. If your GS is showing dominance and getting aggressive at you, distract it. Do not offer treats when it is barking or growling at you as it will associate barking with treats. If your dog tries to pull on the leash, pull it back a little to tell it that you are in control. Say ‘No’ in an authoritative tone when your dog behaves badly. Do not react to aggression with aggression as it will worsen your dog’s behavior. If your dog doesn’t follow a command, correct it right away. Use clicker training method for obedience training. If your GS is being dominant and showing aggression, you should start its obedience training. To make your dog learn to behave, you will need to be consistent and calm. If your dog is barking or crying, walk away from it. You will need to set a schedule for training your dog and the sessions should last for up to 15 minutes. Prolonged training sessions bore the dog and it might become aggressive or destructive. Make sure you put the leash on your dog before starting the training session. Leash is the only way you can control your dog’s behavior and is also an important part of GSD training. Another important thing to keep in mind when dealing with a dominant dog is to adopt a preventative approach. Always keep your dog under supervision so that it can be controlled when it shows its dominant side. There are some basic house rules that you need to set so that your GS becomes obedient. Furniture is not for your dog to sit on. Your GS cannot lie down on your bed. Your GS cannot bite other people. Your GS cannot bark for food. Your GS cannot pull or chew on the leash. Your GS cannot jump on people, children, and other animals. If your GS is too dominating, know that you adopted the wrong training approach. If you want to know the right technique to train a GS or want to get control over its dominant behavior, sign-up for our newsletter or contact us via e-mail. 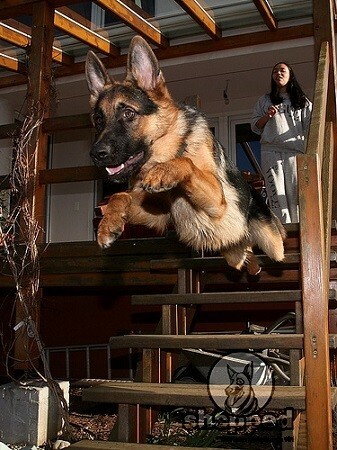 We help owners raise their German Shepherds to become loyal, affectionate, and friendly.